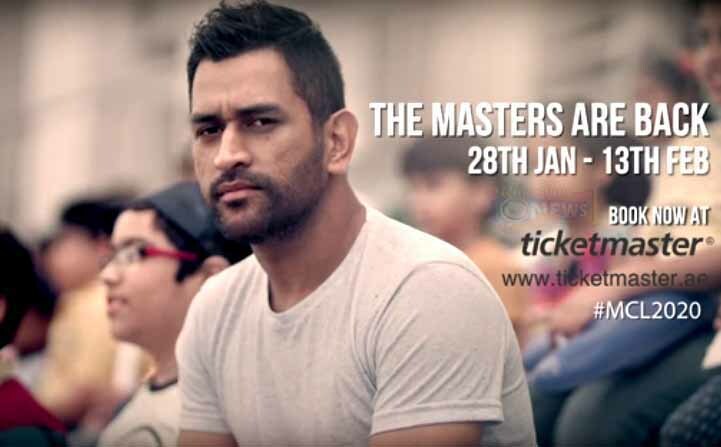 Dubai : India's cricket captain Mahendra Singh Dhoni launched the ticket sales for the inaugural edition Masters Champions League (MCL), as the brand ambassador of the tournament, on Monday with a special video message. Dhoni had recently also been named the brand ambassador for MCL's holding company, Grand Midwest Group, for a period of three years. The MCL is scheduled to start on 28 January 2016 with the first match between two of Dhoni's former teammates, Sourav Ganguly's Libra Legends and Virender Sehwag's Gemini Arabians at the Dubai International Cricket Stadium (DICS). The final will also be staged at the DICS on 13 February. In the video, Dhoni says: “Today I am in front of you not as a cricketer, but as a cricket fan. I have come here to tell you that our favourite cricketers are coming back to play on the field. Every fan will say one thing for sure...we want sixer."